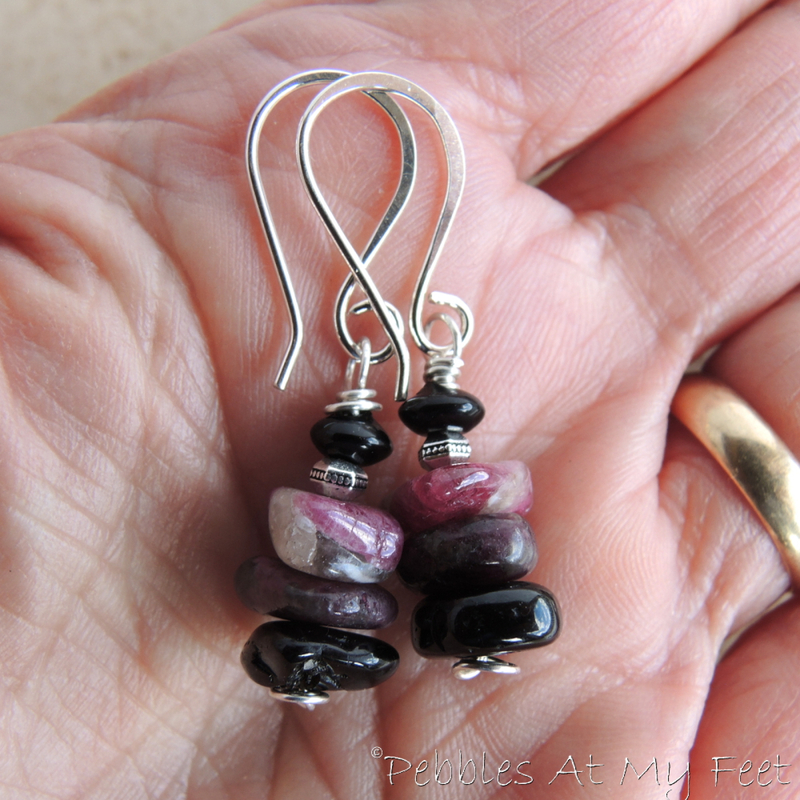 Bring the beauty of tourmaline gemstones to everyday wear with these beaded earrings in a stacked stones design. 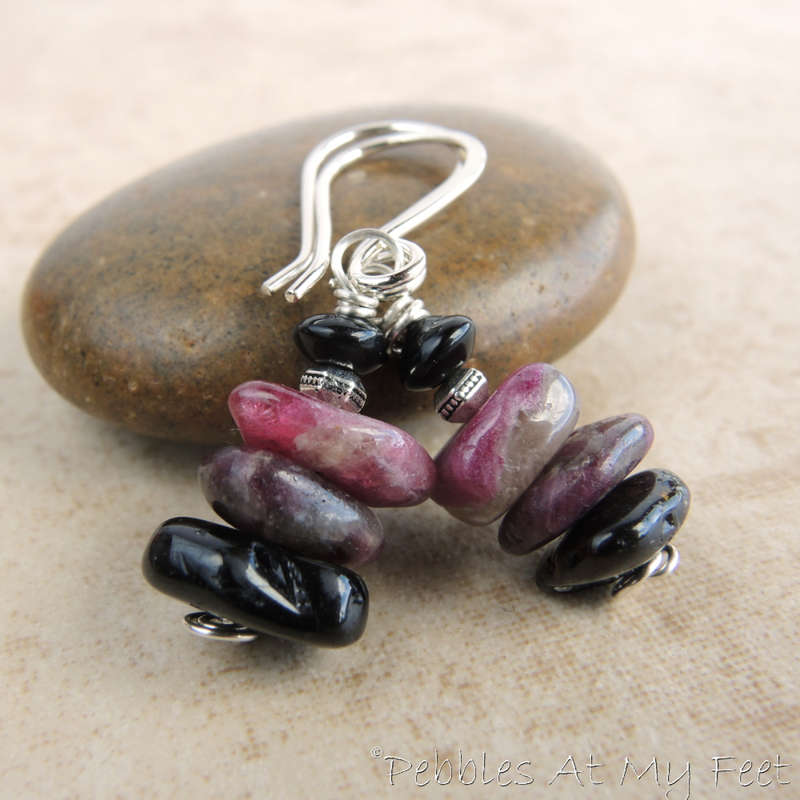 The simple, easy-to-wear style of these earrings makes them an easy-to-give gift. Give as an October birthday gift, or give and wear pink in solidarity for a loved one fighting or recovering from breast cancer. 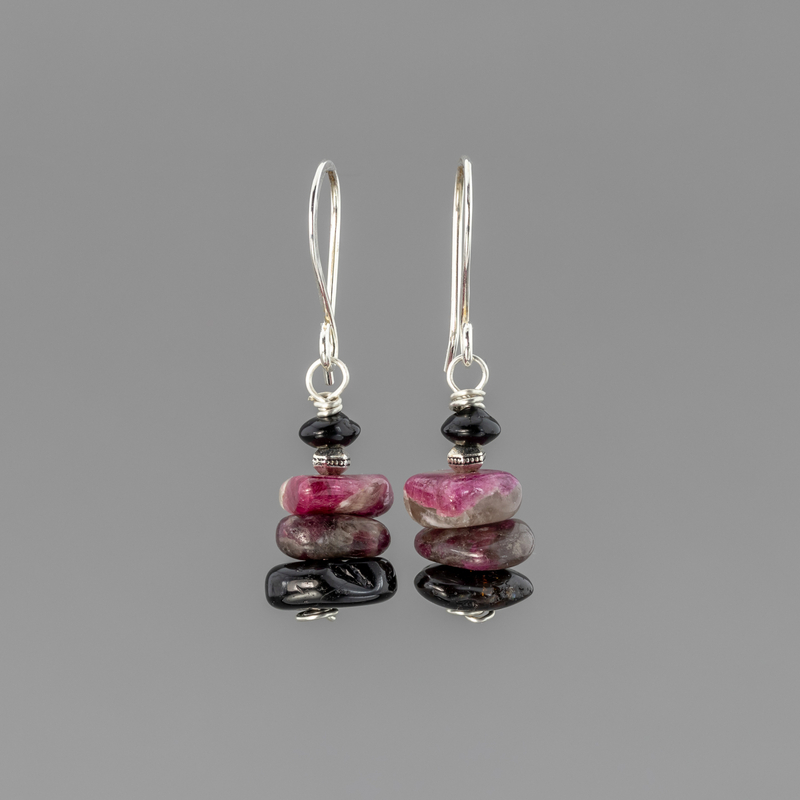 Tourmaline stone chips in graduated colors from bright fuschia pink to jet black are strung on sterling silver wire with fine silver and black stone bead accents. The tiny fine silver beads are from the Karen Hill Tribes artisans in Thailand. Their faceted style and engraved details are an elegant accent to the casual stone chips. A rustic hand cut saucer of black stone (typically dyed onyx) tops the pink, black, and silver ornament. Simple, artful details can be appreciated in the hand crafted wire-wrapped head pins with their little floral "knots" that hold the stones. 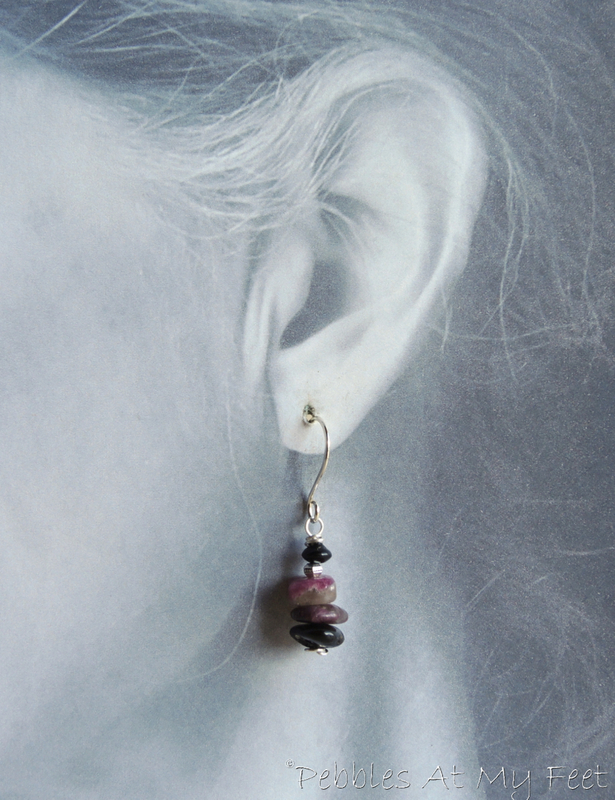 My handmade sterling silver ear hooks are a plain but graceful French hook style that accentuates the stone drop.